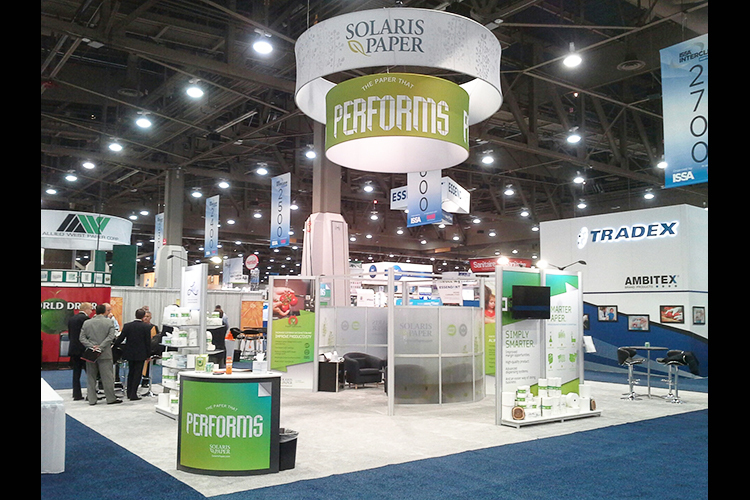 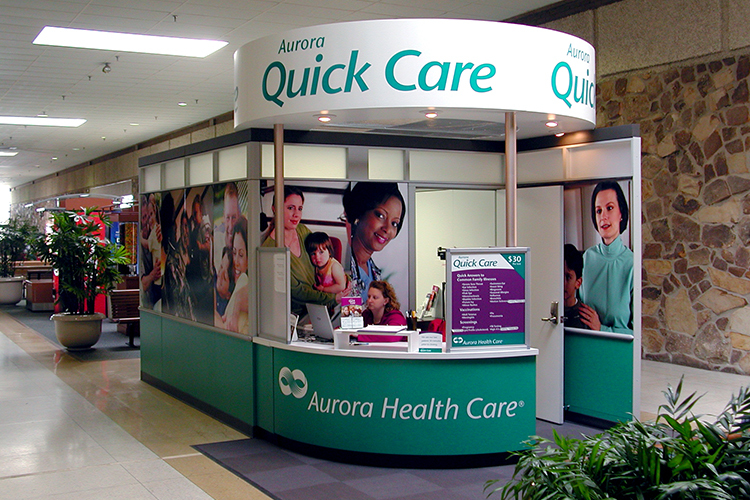 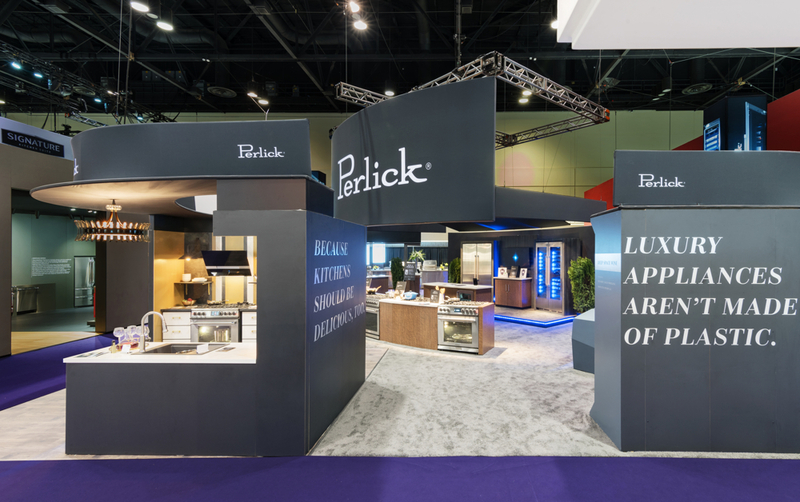 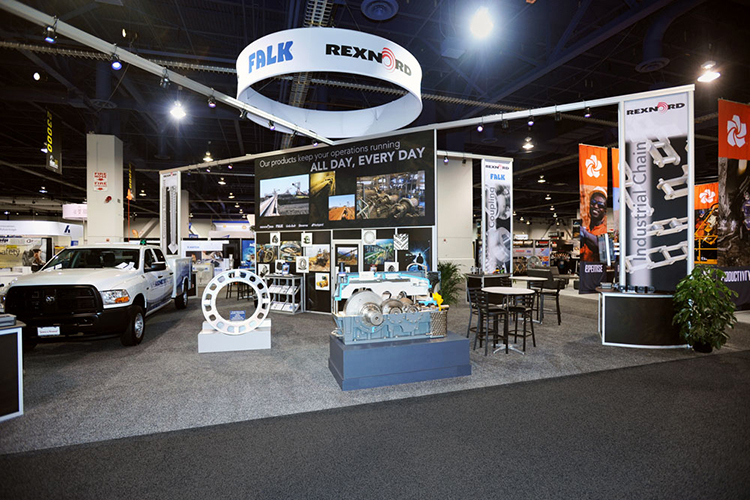 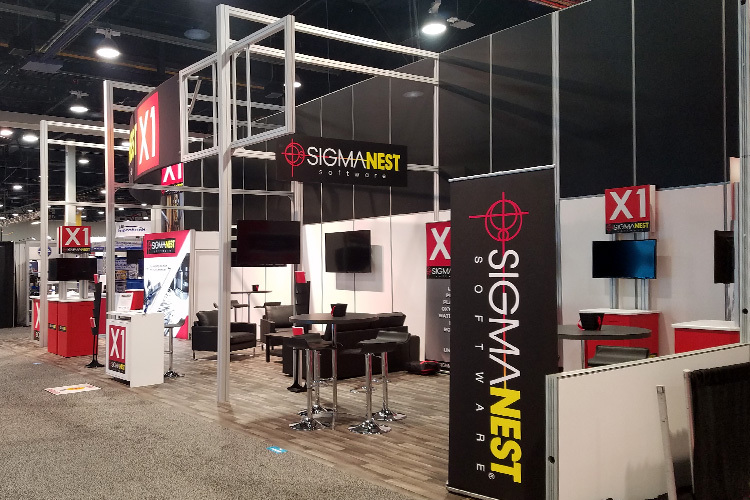 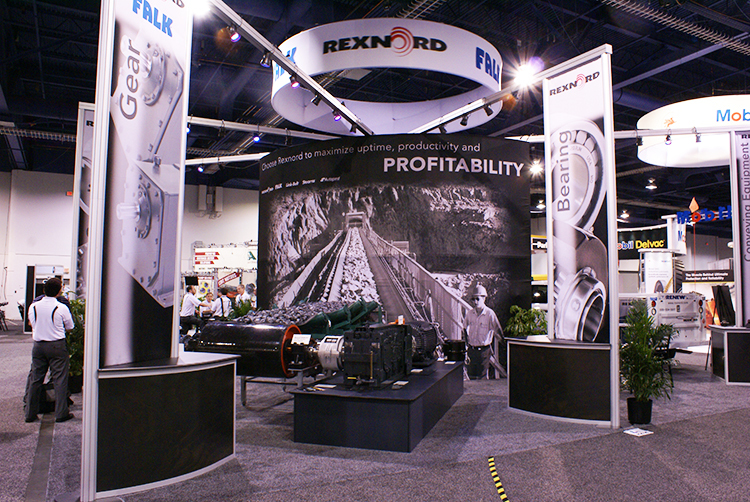 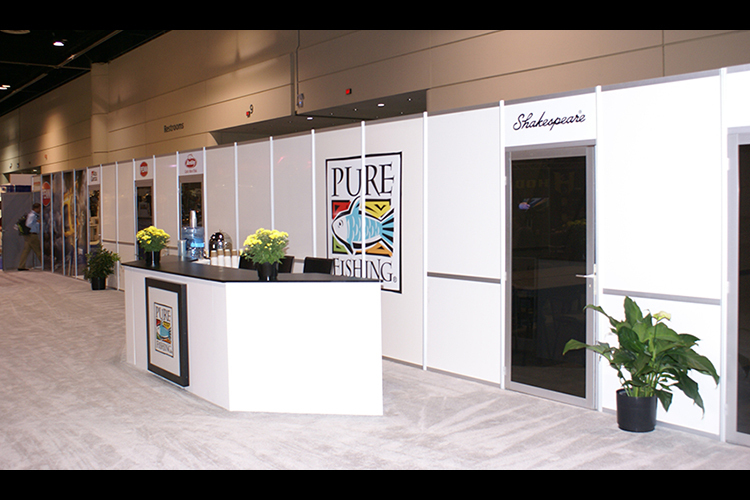 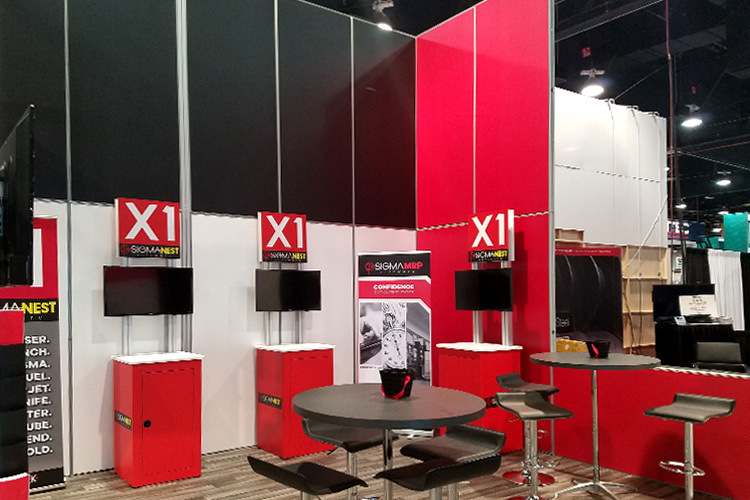 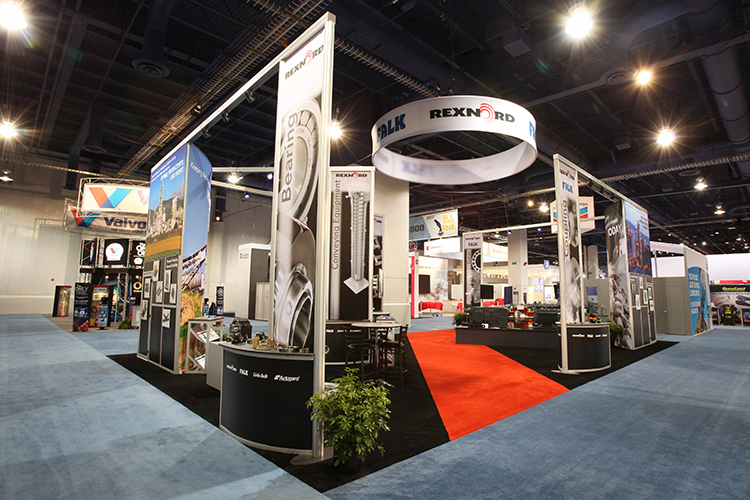 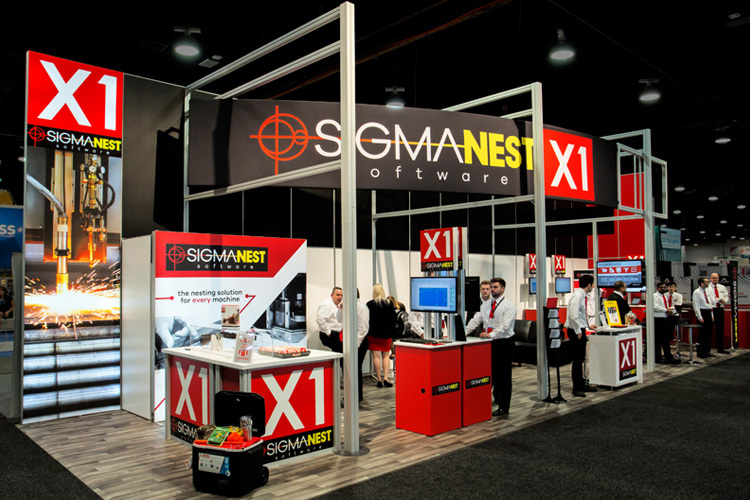 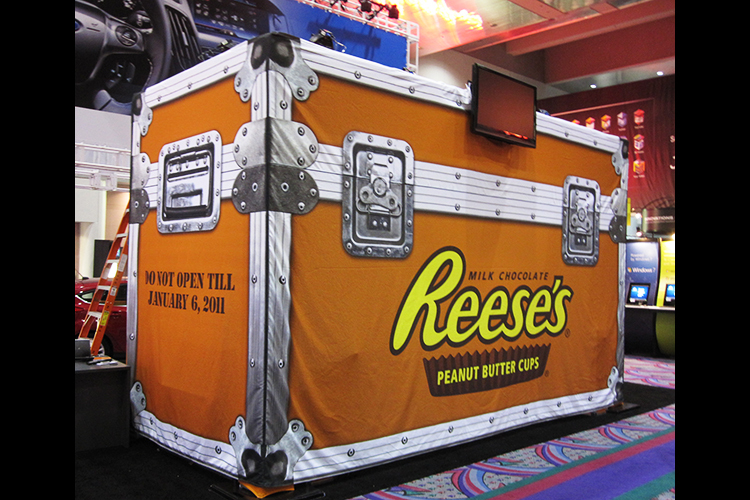 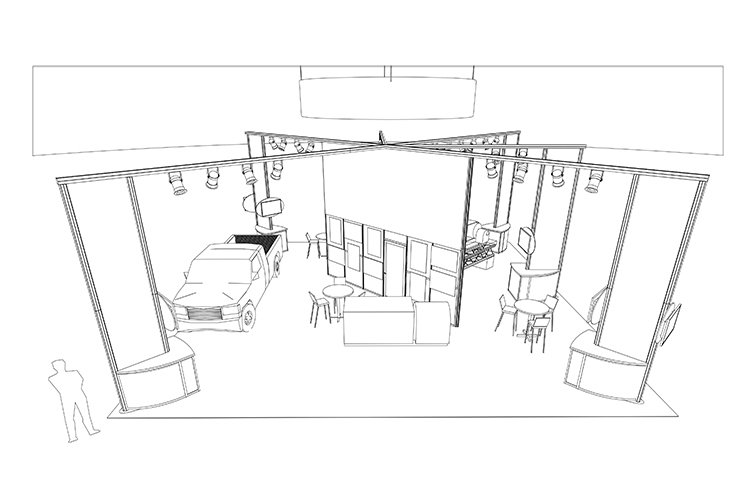 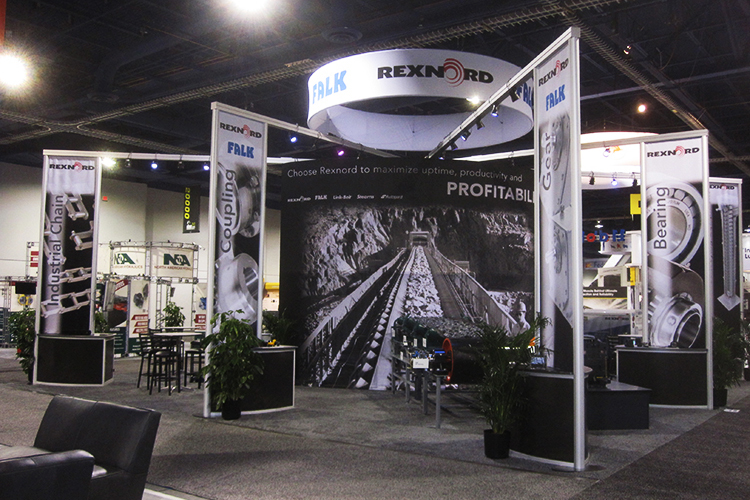 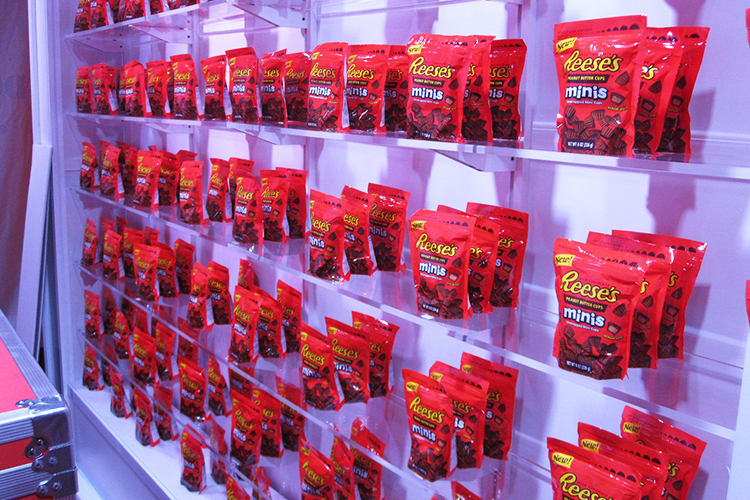 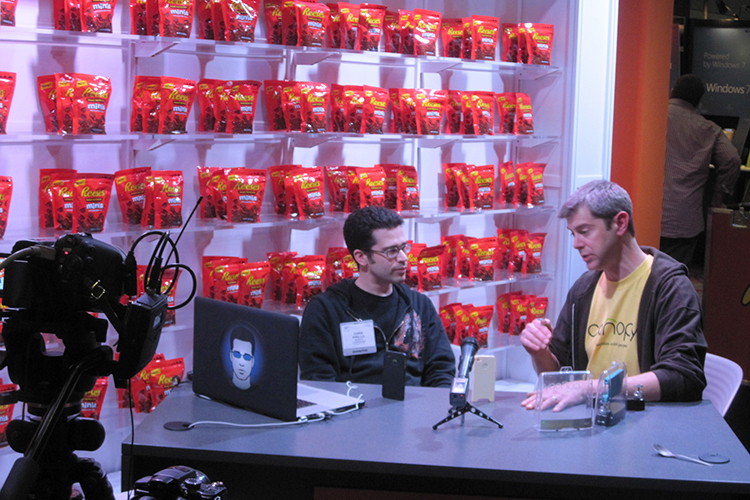 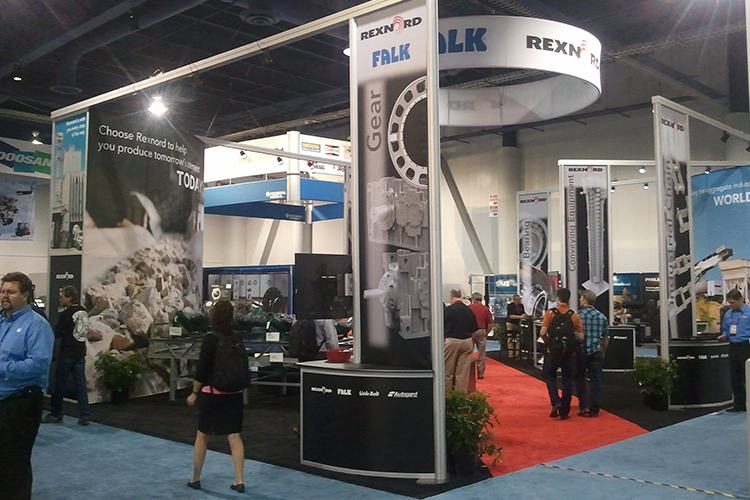 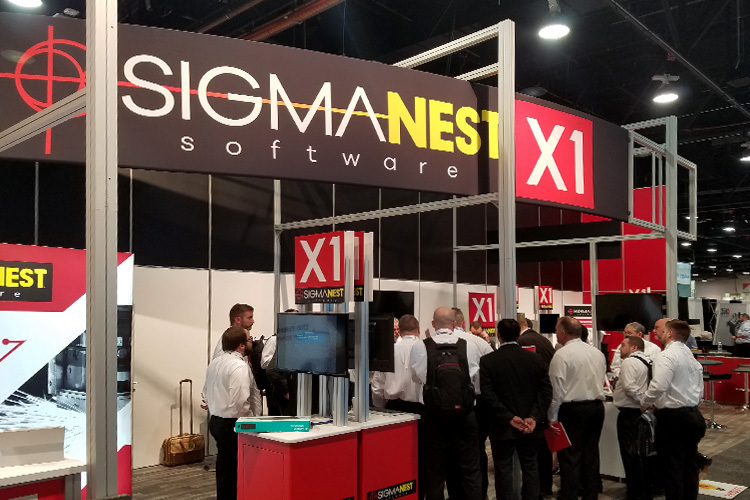 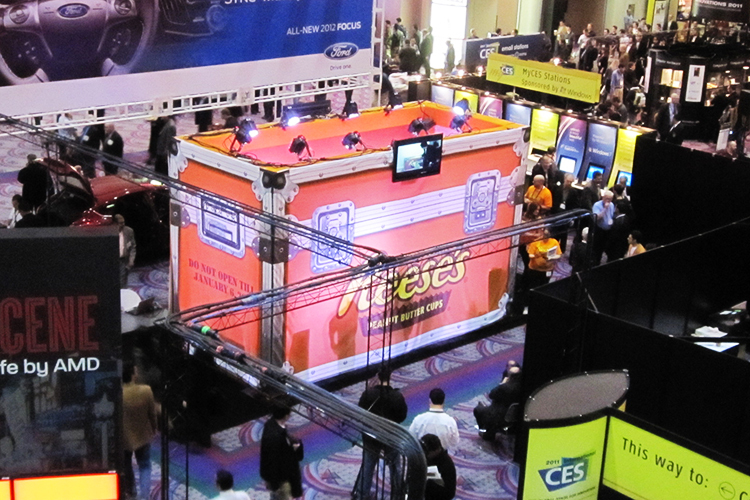 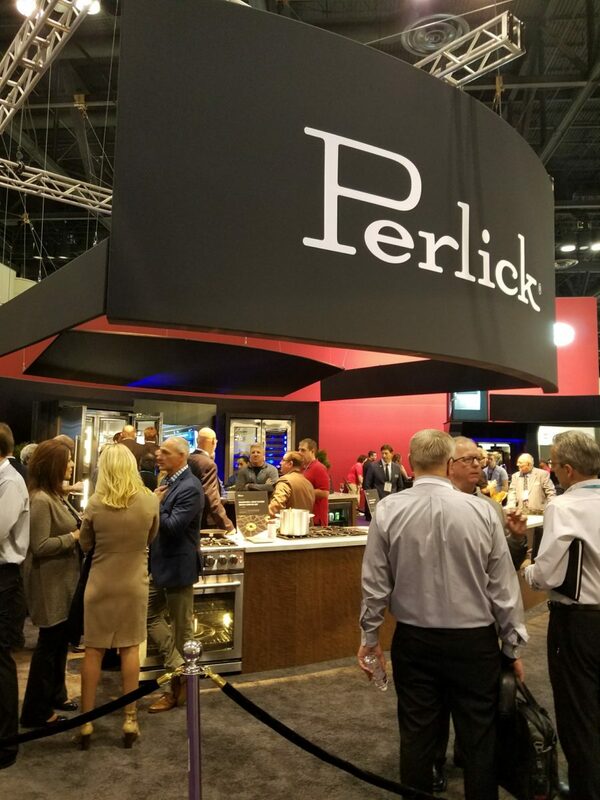 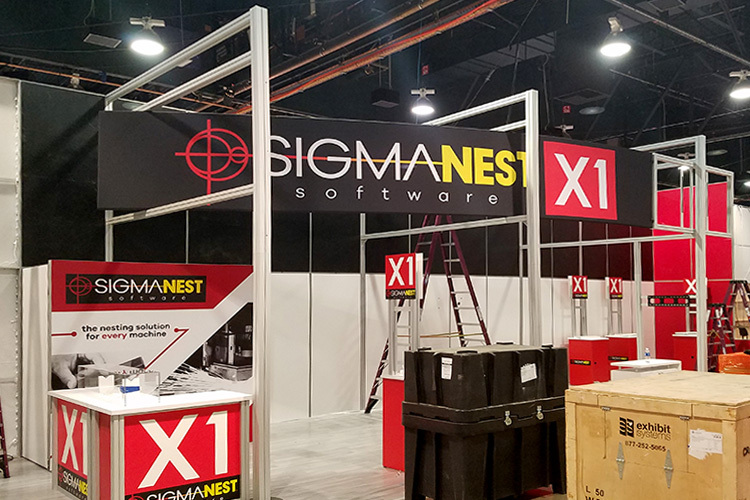 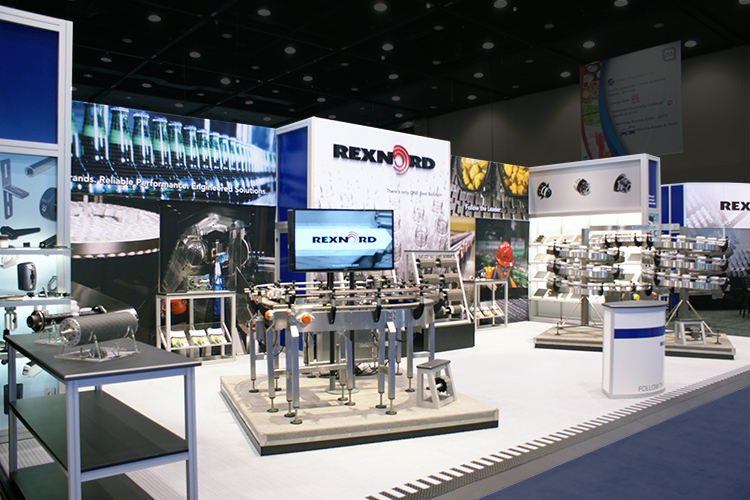 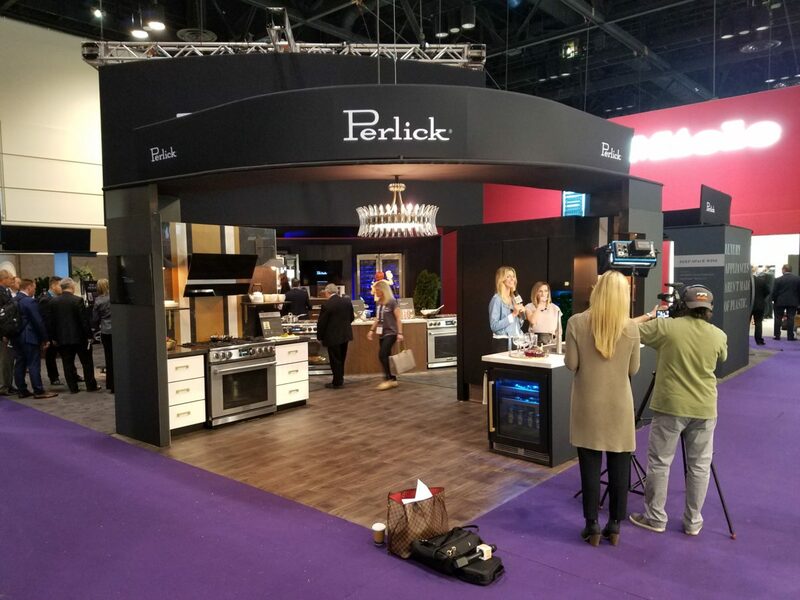 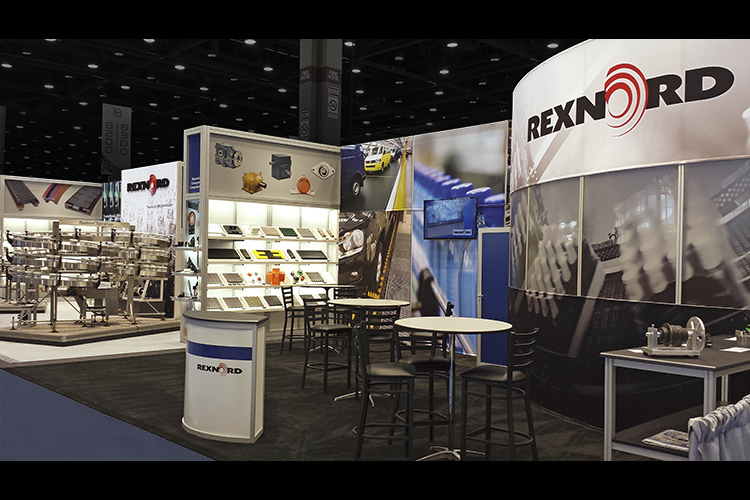 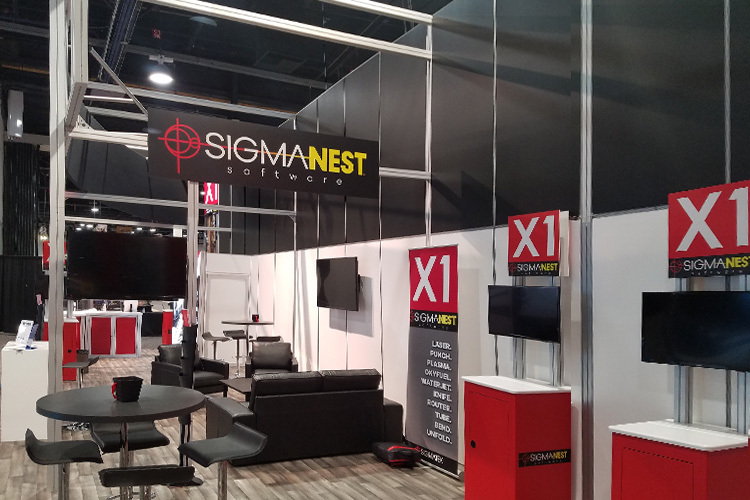 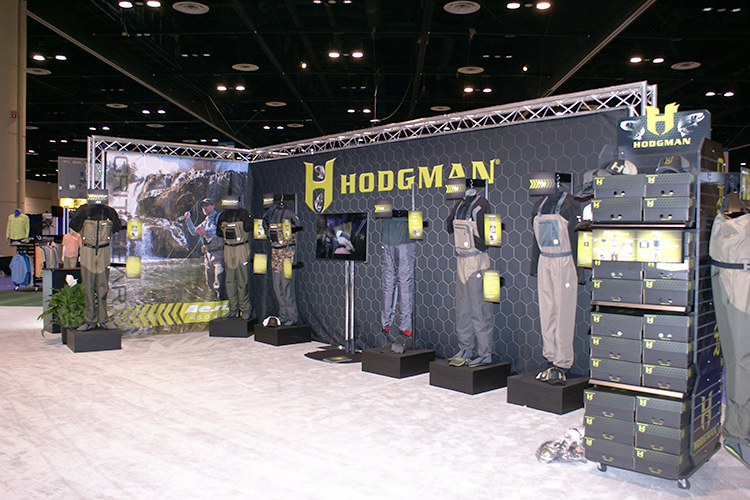 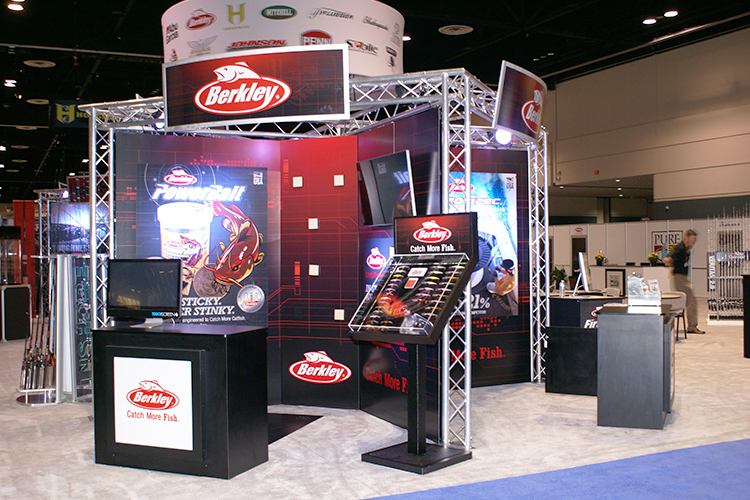 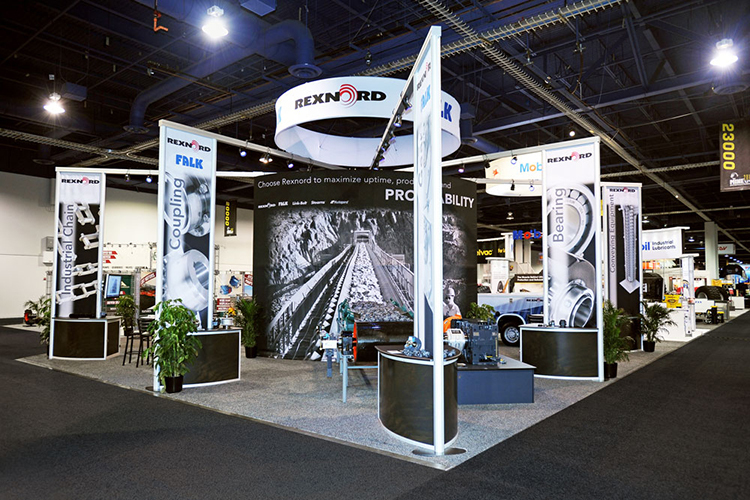 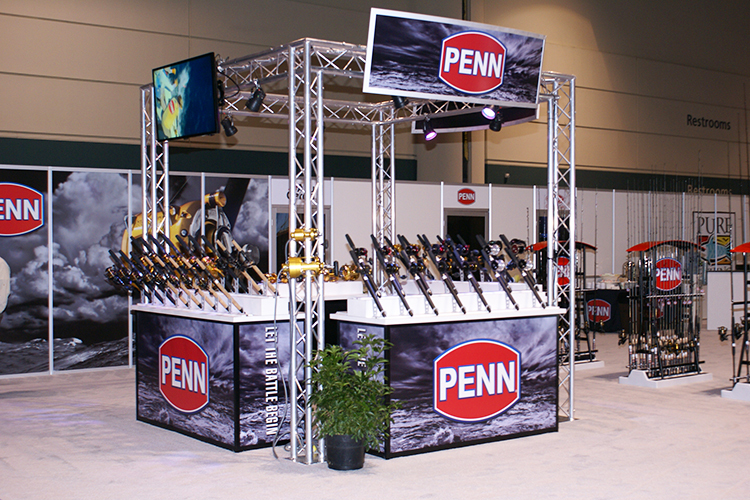 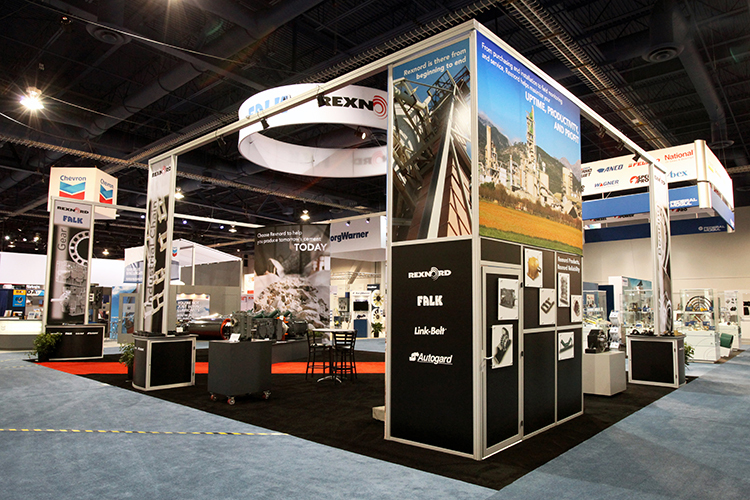 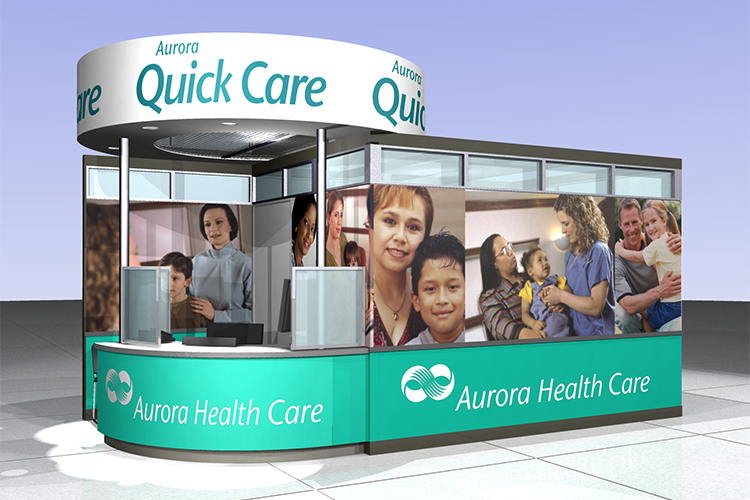 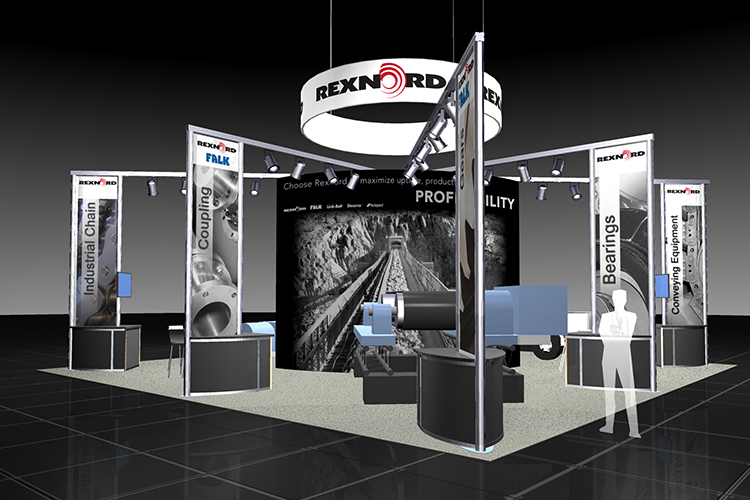 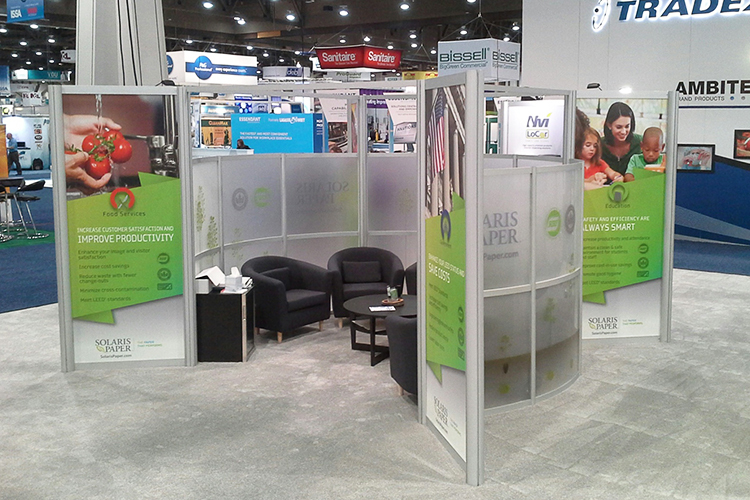 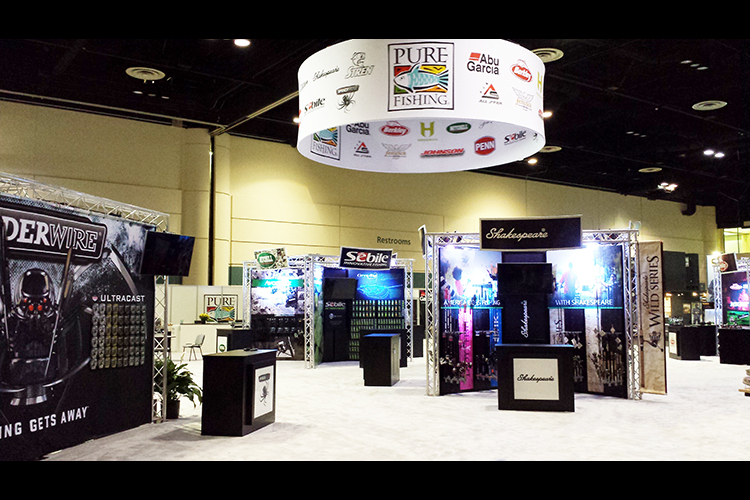 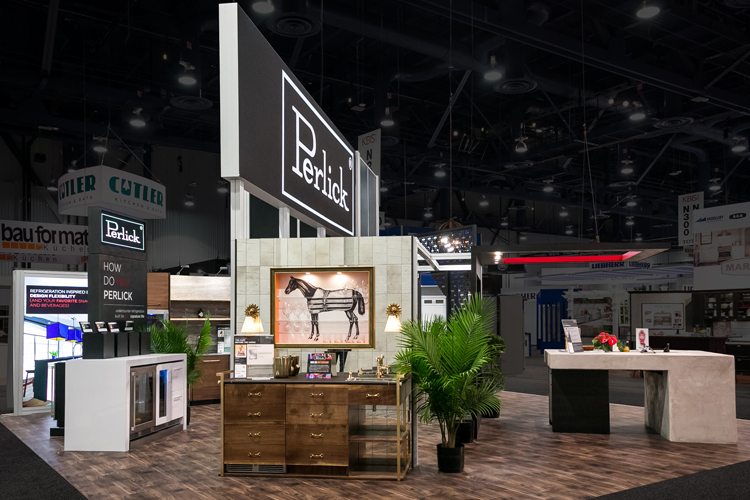 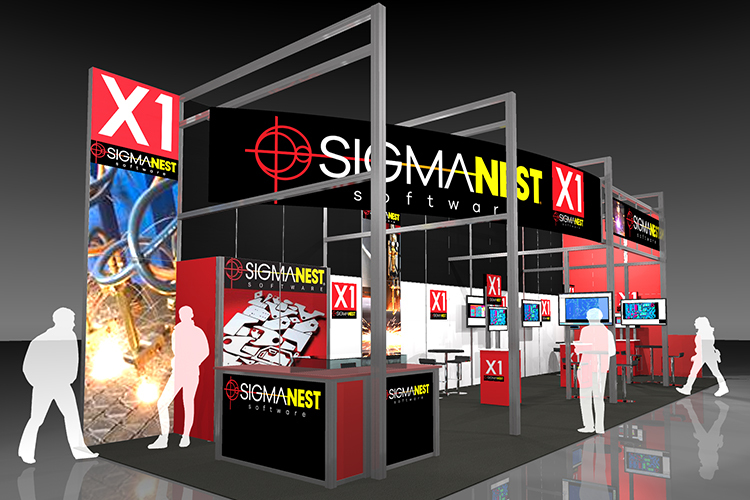 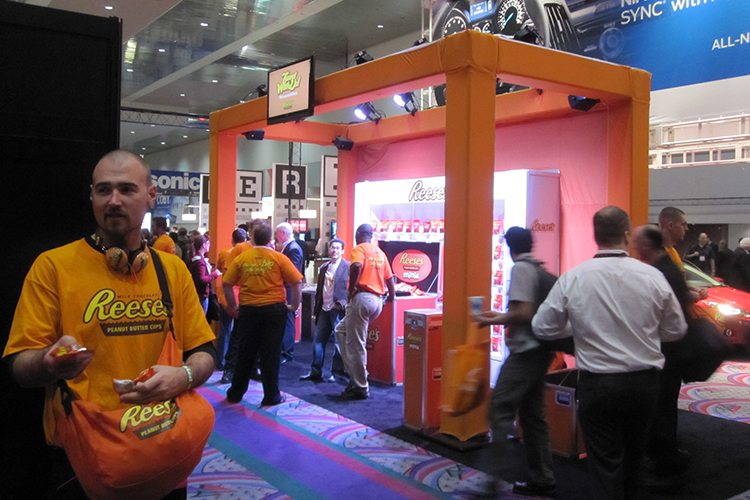 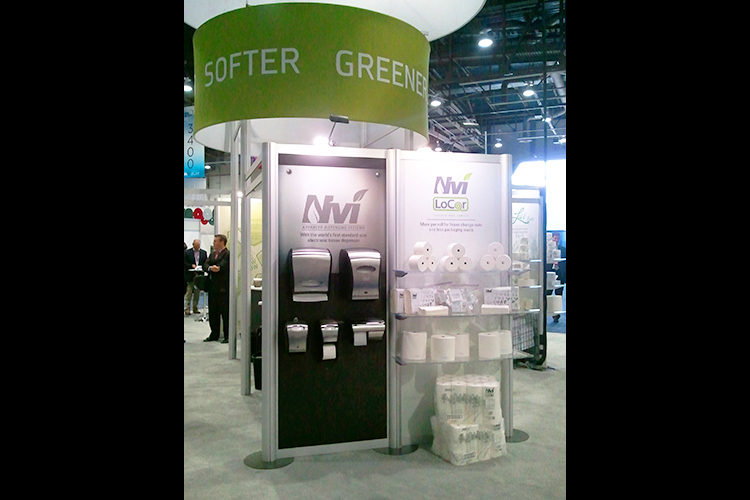 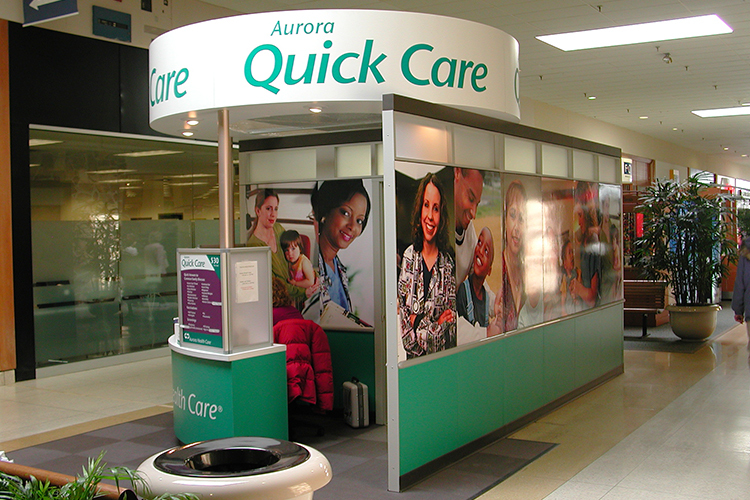 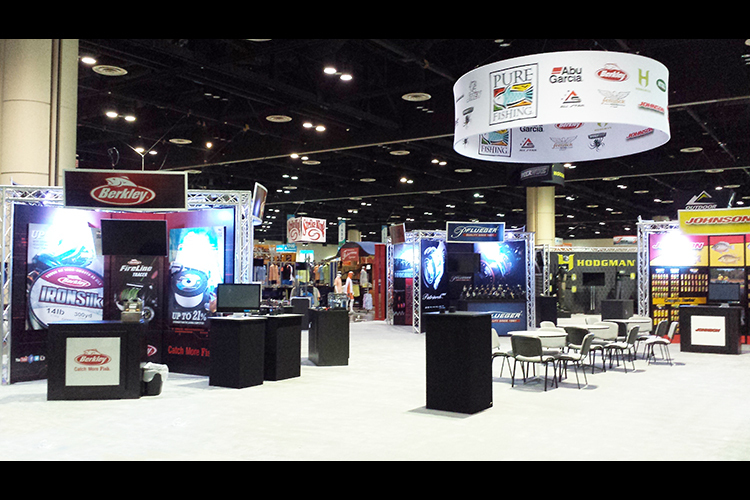 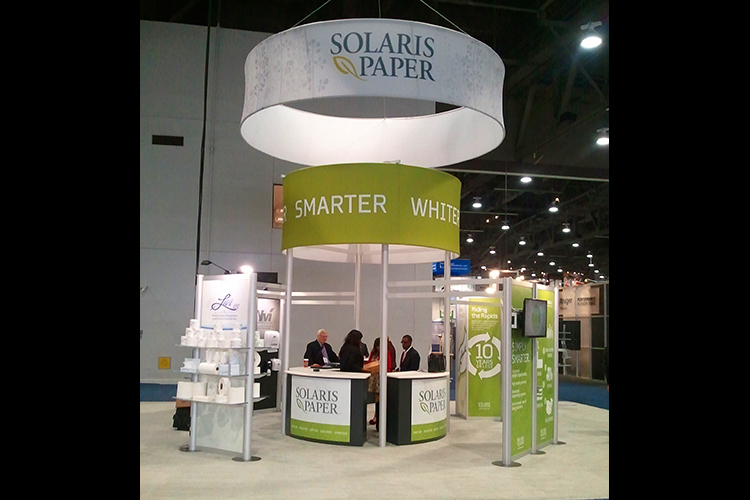 Multiple brands displayed together in one large booth space. 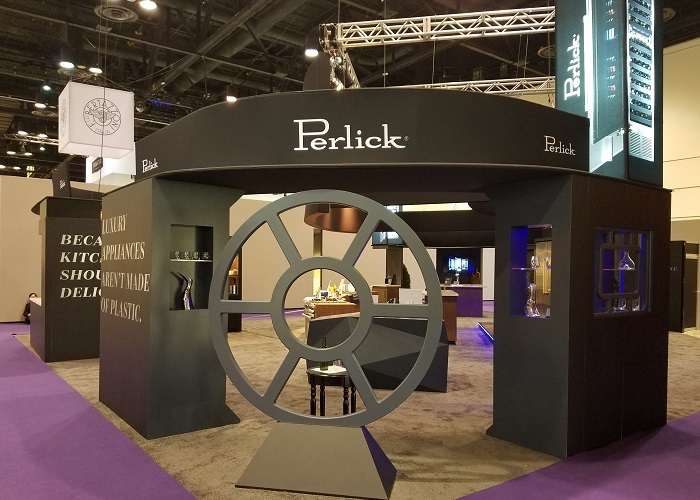 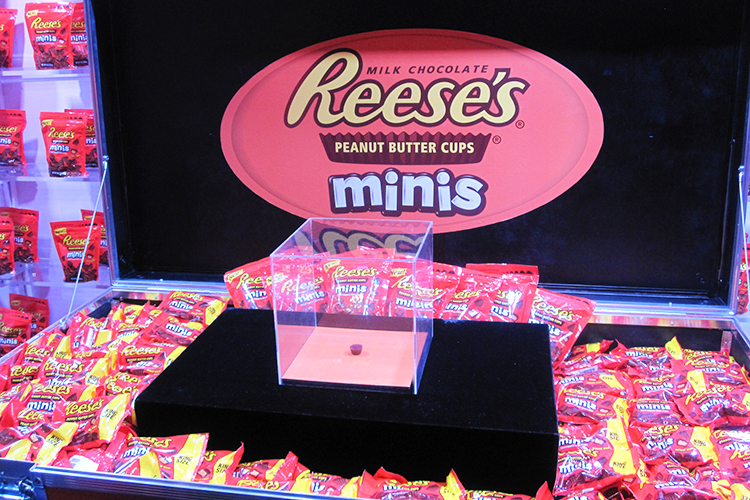 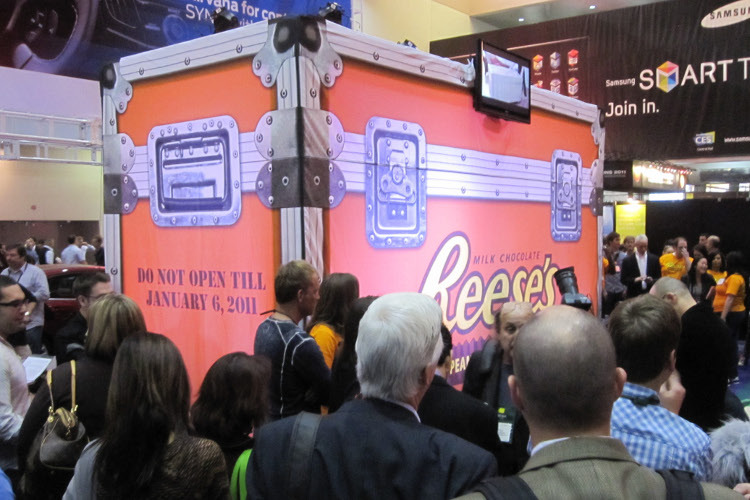 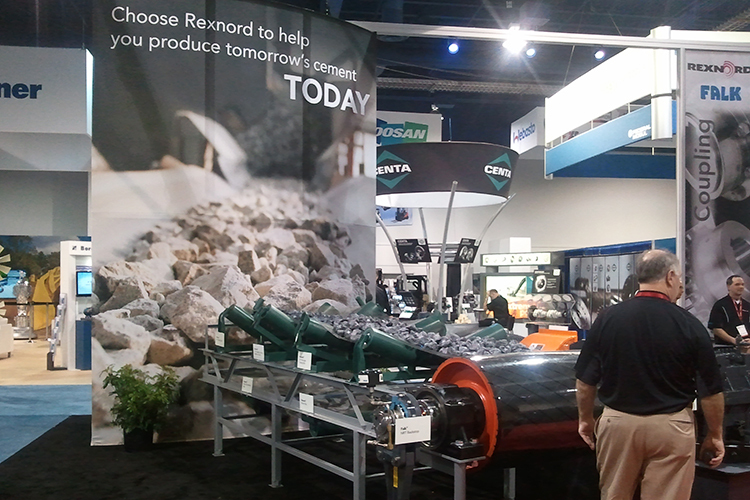 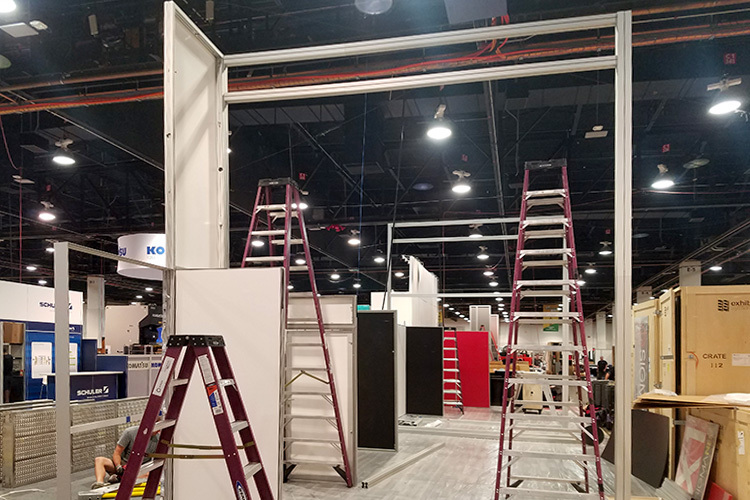 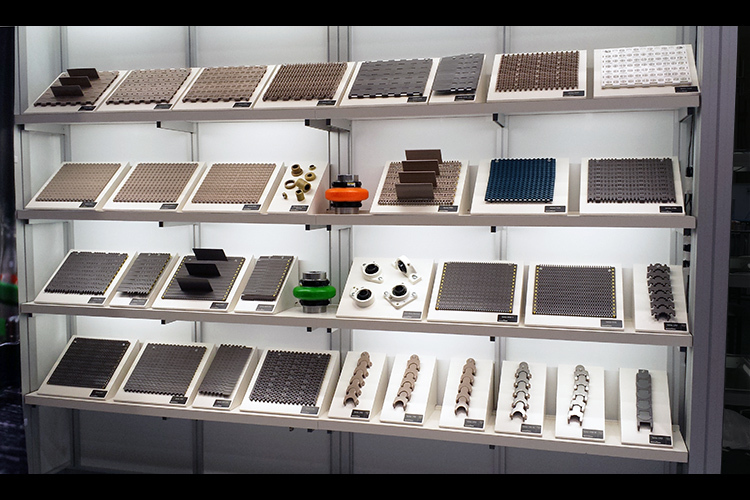 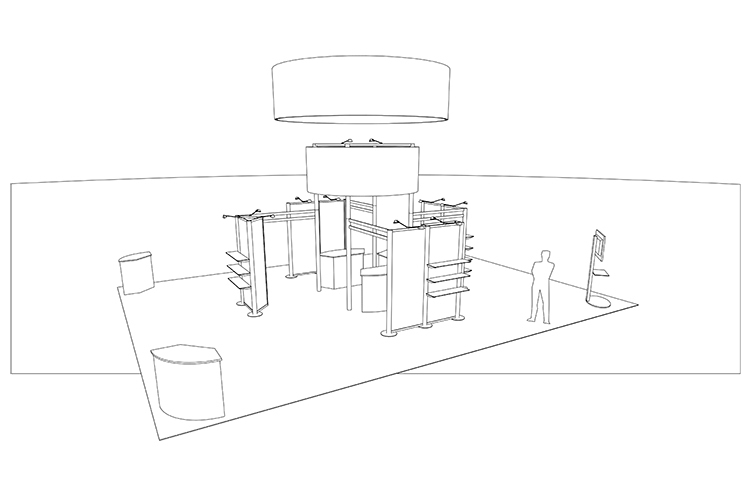 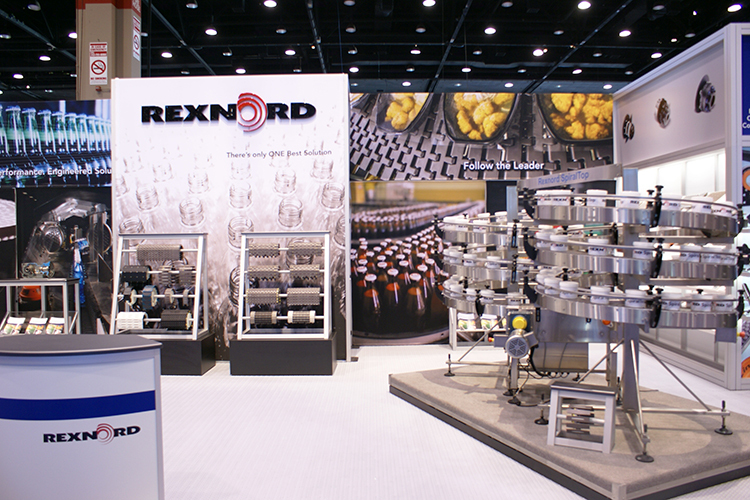 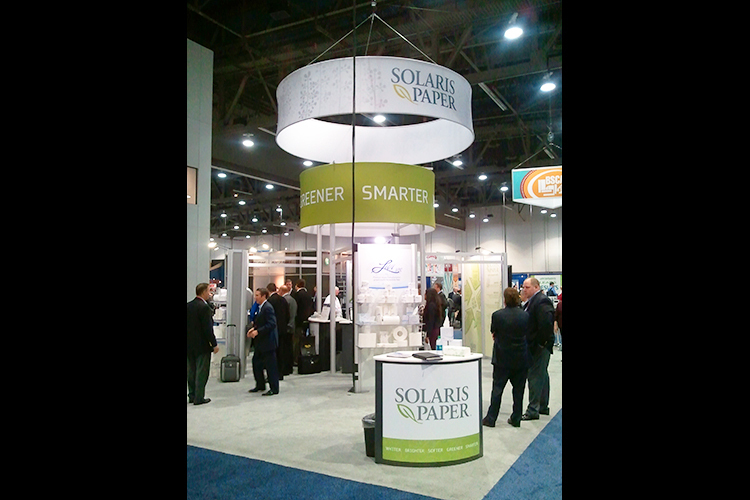 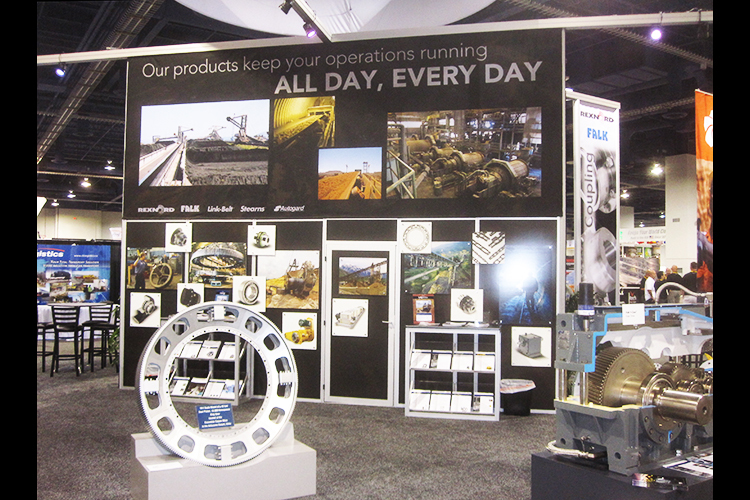 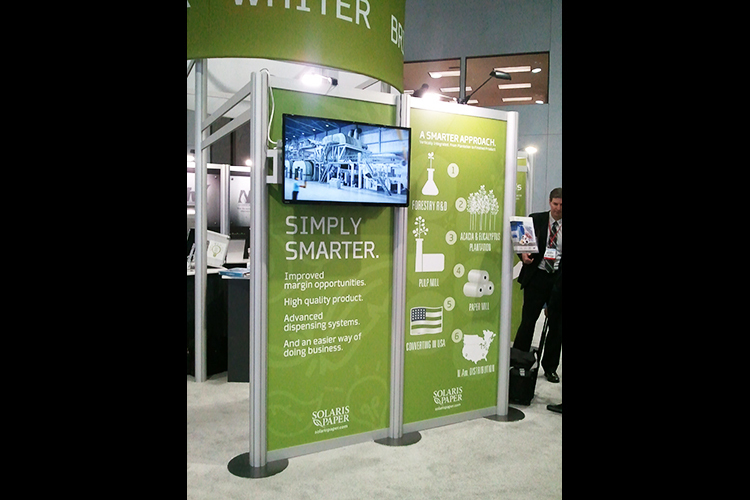 A custom modular exhibit with conveyor display. 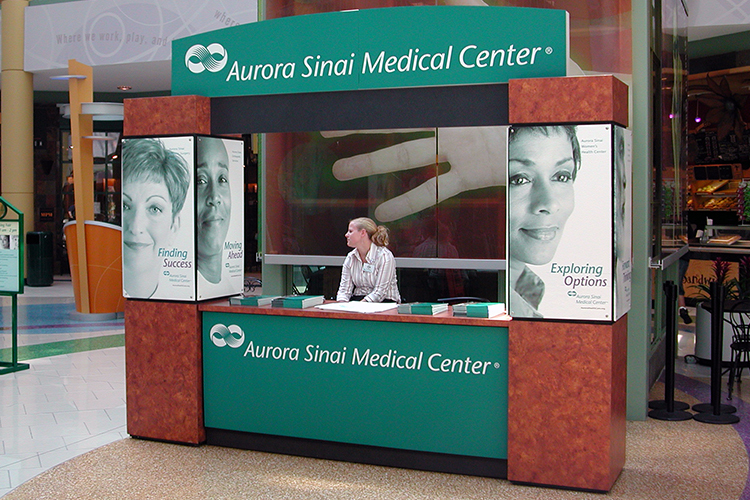 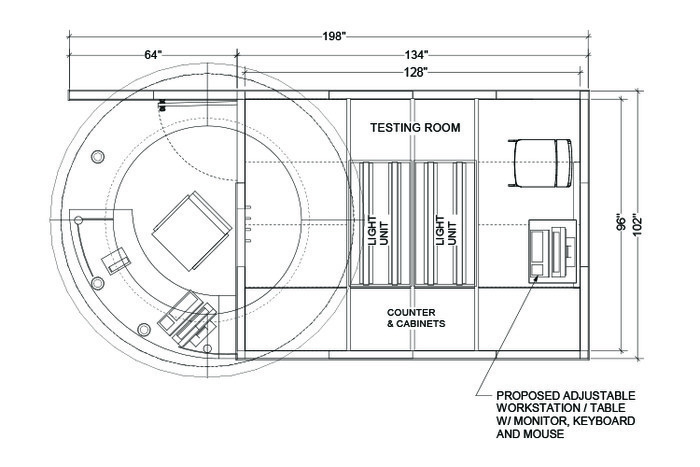 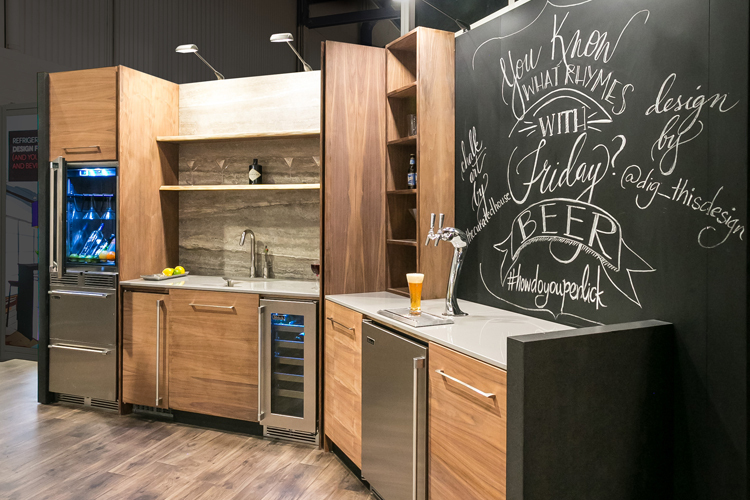 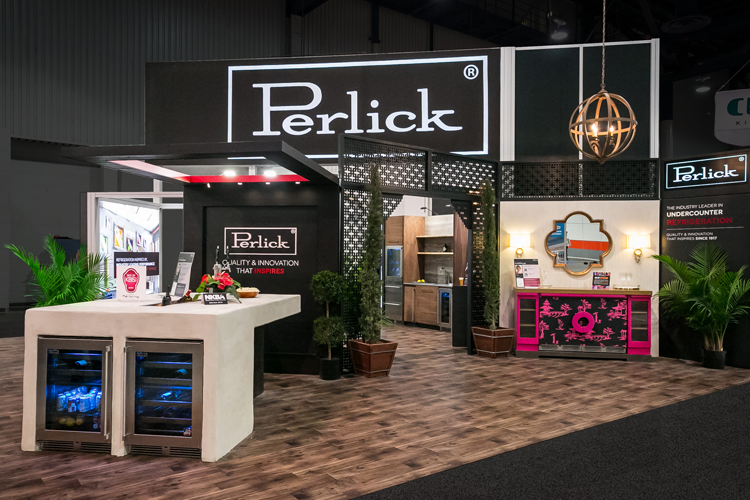 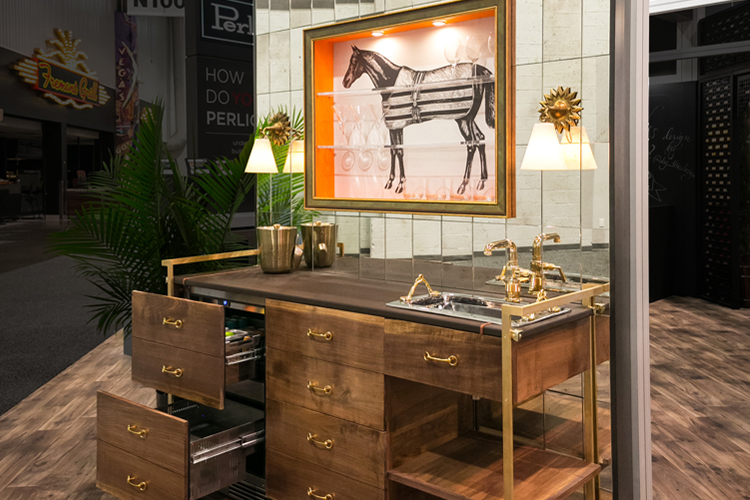 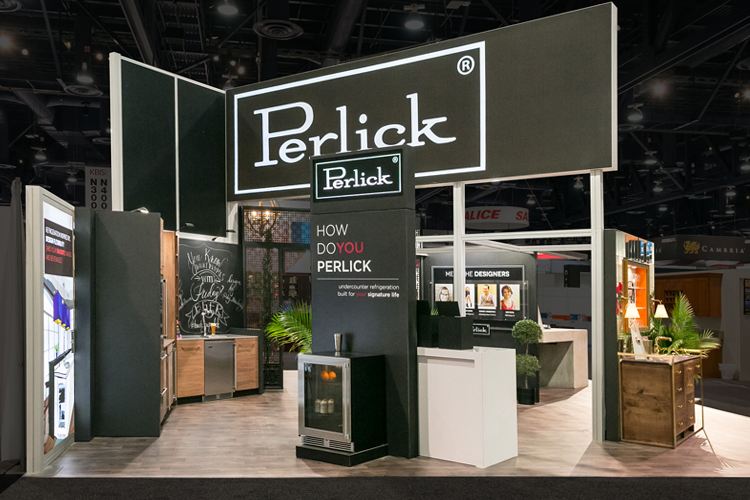 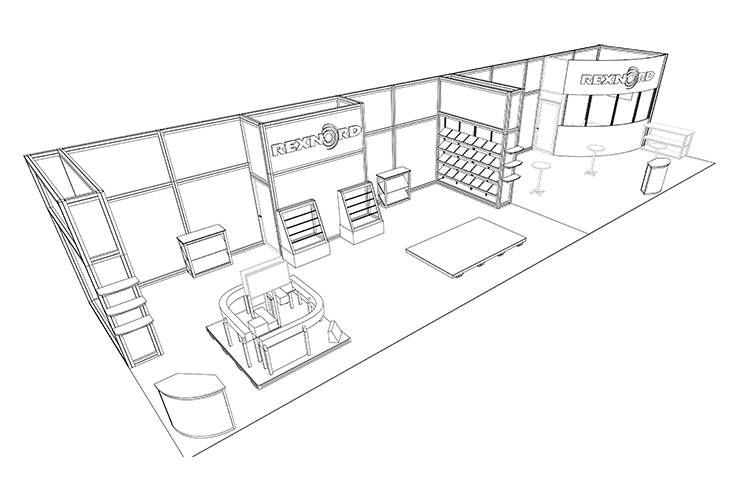 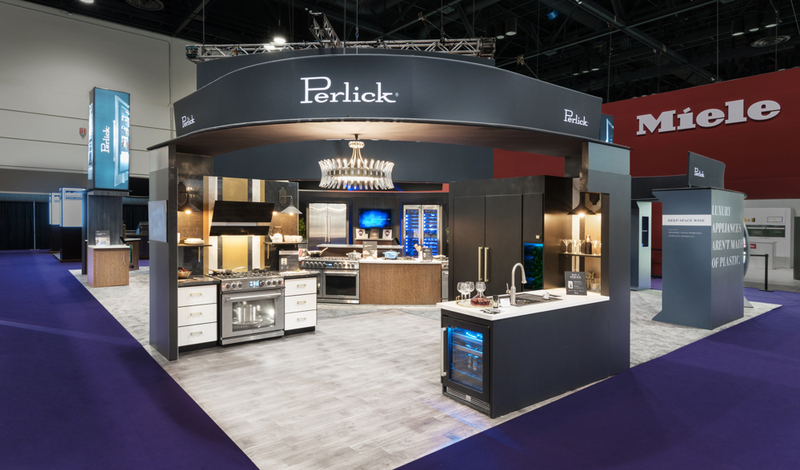 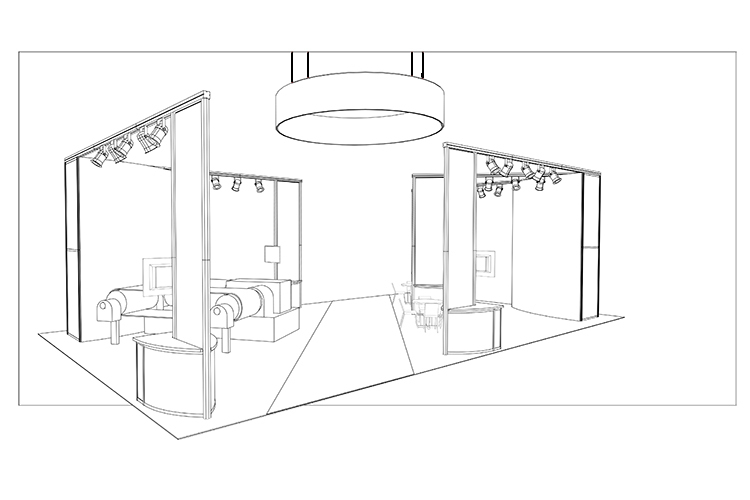 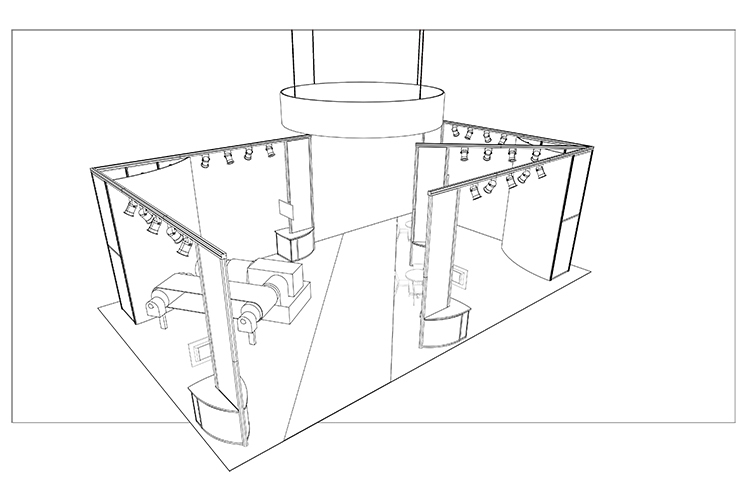 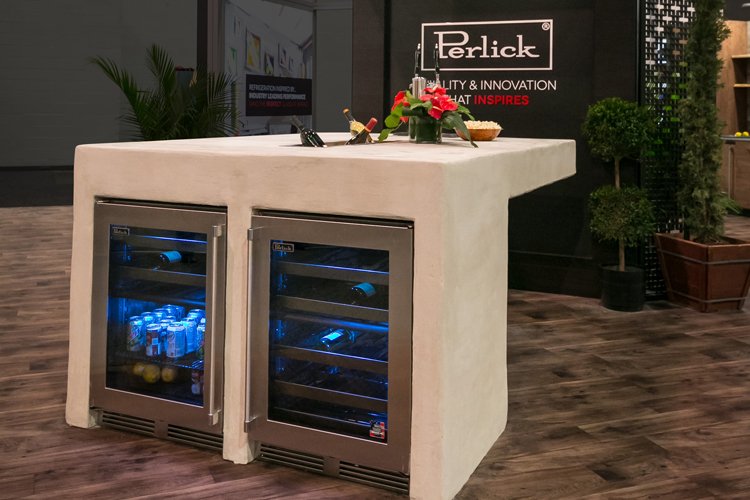 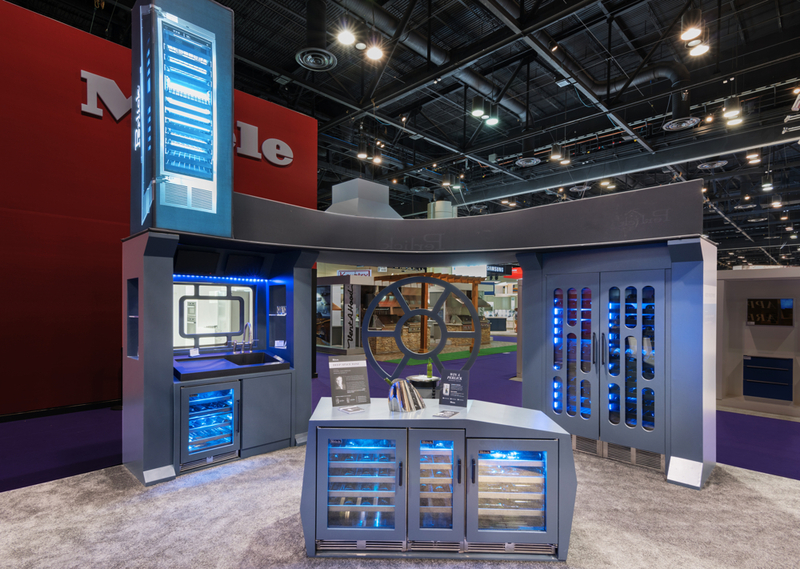 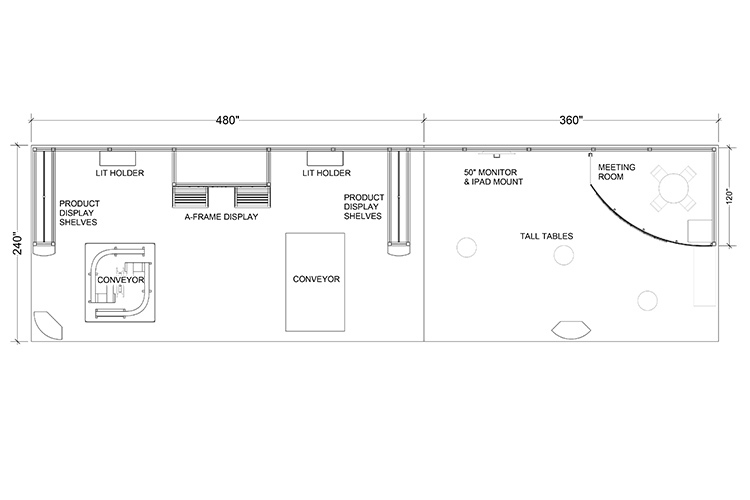 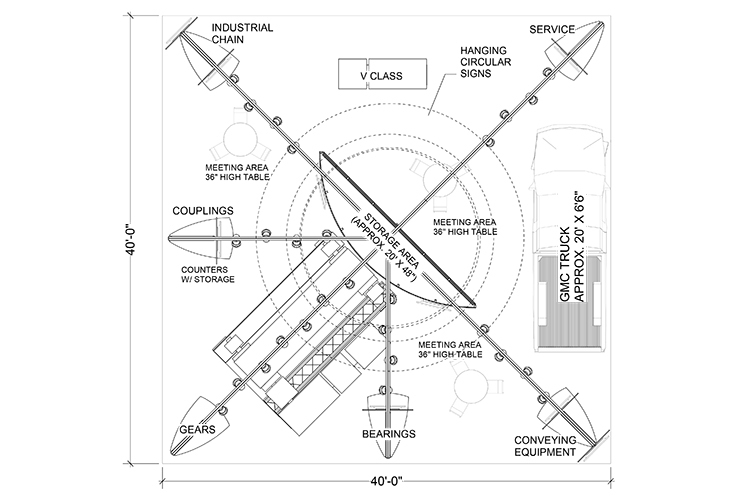 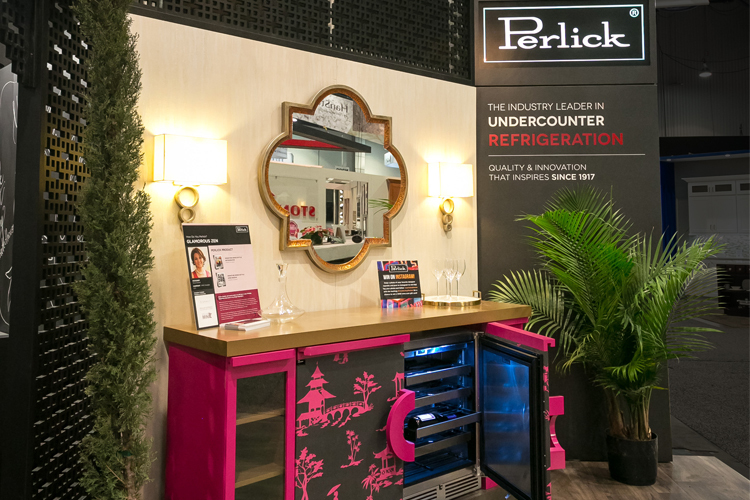 A modular display with a custom bathroom, demo counters, and meeting space.